I’m up four hours later riding the moto road along the coast to Colonet. I forget to turn my SPOT on until the sun comes up and I’m almost in town. I stop at the OXXO to resupply. As I’m walking out of the shop with more food than I can possibly pack, Jesus and another young rider roll up. They’re excited! Jesus is from Colonet, but he’s never been to El Coyote. The Baja Divide has changed the way the locals view their own towns. They all want to be part of the adventure. It’s contagious. Four years ago, Jesus was eighty pounds heavier and could hardly walk. He was a sick man and didn’t believe he’d live much longer. He started riding a bike and he started feeling better– better and better. Riding a bicycle changed the course of his life. Riding a bicycle gave Jesus a life. When Ryan’s bike got stolen in Colonet in January, Jesus tracked down the thugs that took it and paid them 4000 pesos to give it back. He’d never met Ryan but he believed so much in the Baja Divide and the integrity of his community that he had to make it right. Salvador’s wife, Flor, gave Ryan a ride to Colonet to pick up his bike. Then, Jesus gave Ryan his bike back and offered him a ride to San Diego so he could retrieve more necessary gear. I’m blown away by the generosity we’ve received in Baja. Outside of the OXXO, I drink a lot of yogurt really fast and we roll out together. It’s amazing to have friends. Jesus is slower on the climbs, but he bombs all of the descents. Ten miles later we pass through Ejido Benito Juarez. I don’t stop at my favorite store, but continue on into the arroyo. We start seeing water soon. The road is washed out and we get separated. I push my bike through a dozen water crossings, moving forward steadily. Then it’s a 2000′ climb and some chunky and sandy tracks. Then El Coyote. I keep rolling to Rancho Meling, stop to get water, drink a coke and pack one to go. By noon on day 2 of my Baja Divide FKT, I’ve already ridden what took us a full week to tour. The ten miles out of Rancho Meling are insanely steep short climbs and descents. I grind my knees up most of them and have to push two or three pitches. I pedal over a grassy field past citrus trees. Nothing is easy on the Baja Divide. Even the descents are full of climbs. Eventually I make it to the arroyo leading into Vicente Guerrero. It’s full of water. The dirt road I rode in January has transformed into a flowing stream. I walk most of a mile or two to the edge of town. It’s nearing sunset. Crossing the arroyo, a group of 20 or 30 people, including Nick, Salvador and his family, are waiting for me. They cheer me in as I push my bike across the knee deep water. One guy takes a video and we all take a group photo. The crowd demands that Nick gives me a kiss and shyly kisses me on the cheek. Nick, Salvador and a 12-year-old local racer will ride with me the next 20 miles to San Quintin. I wire in my headlamp and we’re off. It’s classic cross-country terrain to San Quintin, rolling with little ribbons of single track and high quality dirt roads. Salvador records a video with commentary on his iPhone for most of the way. I’m thrilled to have company and wish that Nick would ride with me into the night. Salvador and the kid split off to make their way home. Nick and I continue on into San Quintin and stop to get queso tacos. While they’re getting fixed, I go to the store next door to stock up on gummy candy and donuts and peanuts. I have a long remote stretch through the Valley of the Cirios ahead. I fill my water to capacity and the 7 liters is heavy, but I’ll need it. It’s dark and cold. My body temperature drops and I’m worried about the night. It’s already colder than the day before. In the day, San Quintin is bustling, but by 9PM most everything is closed. I wish I could buy more clothes. I consider getting a motel room and sleeping for a few hours, but I’m really not that tired. I pack a couple of tacos to go and Nick gives me a big hug goodbye. I take advantage of the easy road miles. They’re fast and help my legs recover. I hit the beach at Mission Santa Maria. It’s high tide and the riding is very soft and slow. I take pressure out of my tires twice and crawl the four miles to Nueva Odisea. Town is dark. I fantasize that there’s a motel in town that I’d never noticed, but I know that there isn’t. In the dark, I roll past barking dogs and mistake a dirt driveway for the track and then start climbing. I’m motivated to get out of this cold valley. It’s past midnight and I warm up on the climb. I tell myself it’s warmer cause I’ve gained a couple hundred feet. I bed down at 1AM exhausted and set my alarm, but I don’t even need it. I shiver myself awake two and a half hours later. The wind lets up by the time I get to Neji. My bike is a total ripper and I’m loving it. I climb up to 4700 feet, the highest point on the route, and descend to Ejido Sierra Juarez. Dogs sound off and chase me through the village. I ride the washboard to Ojos Negros and stop at the last store on the way out. I buy drinkable yogurt and coke and Japanese peanuts and local hard goat cheese. An old man in a wheelchair asks me about my ride and my answers get him laughing so hard he ends up in a coughing fit. I drink all of the drinks and an Indian family watches me pack up my bike out front. And then I’m off. Touring the route, it took us a full two days to get to Ojos Negros. On my FKT ride I get there just after noon. It feels like time travel. I power along to Rancho Tres Hermanos and then the route gets steep and loose and it’s hot and my legs just lose their juice. I’ve never had this experience on the first day of an intense ride. I usually feel so fresh and full of energy. It’s 3 or 4 in the afternoon and my upper thighs feel totally drained. I’m already regretting swapping my 28-tooth chainring for a 32. The route is so steep and loose! I climb on the bike at about 3 miles an hour. I have to walk a couple stretches. I make the high point, but it’s still a lot of up and down to get to Ejido Uruapan. The sun sets and I roll into town in the dark. Nick calls cause he’s worried that I’m having breathing problems. I tell him I’m breathing all right, but my legs just wouldn’t go. He tells me to eat some real food and encourages me to pick up the pace to Erendira. Be careful out there! The road is loose and eroded. I buy 7 beef burritos from a tupperware container off the counter of the store, fill my water bottles, drink a yogurt, pack a couple of slices of cheesecake and hit the pavement. It’s a five mile paved ride to Santo Tomas and my legs come back. I try to eat a bite of burrito, but I really don’t want it and end up spitting it out. I pull over right before the steep climb out of Santo Tomas to wire in the batteries on my headlamp. The neighborhood dogs bark fury and I’m out of there quick. I feel good in the night. The road is broad and graded to start. Nearing the Pacific it gets pretty rough, gravelly and loose and rolling and rutted from moto traffic. I’m running a prototype Sinewave dynamo light and two Black Diamond Icon Poler headlamps– one attached to my helmet and one attached to my head tube. It’s so much light! I can see everything and I ride the rollercoaster to the Pacific. I’m focused on consistently pushing the pedals, on staying seated and riding through the terrain even if it’s hammering me. I make it through Ejido Erendira at midnight and ride another ten miles to the big rocky outcrop where Nick and I camped on our first ride last December. I push my bike up a steep incline to the rock, pull out my bivvy and sunshade and tuck myself in. I wake up in the night cold and cinch the bivvy tighter so that there’s only a tiny hole to breathe out of. On January 2, 2017, Nick and I met 96 riders in downtown San Diego to ride the Baja Divide, a 1700 mile dirt route that we mapped down the Baja peninsula. It was not a race, rather an opportunity to meet folks, make friends and explore magnificent terrain and culture. We rode for two months, leap frogging riders all down the way. In late February, we flew back north so that I could attempt the Baja Divide again, this time with the intention of riding the route as fast as possible to set the Baja Divide FKT, the fastest known time. The idea started forming before I could put a finger on it. What would the Baja Divide be like as a race? How would I strategize? How would the riding feel? What would be the best bike set up? How much distance could I cover in a day, day after day? How fast could I get it done? Somehow, I felt committed to the challenge of attacking the Baja Divide before I even actually decided to do it. It just felt so natural. This is our route– mine and Nick’s. I’d already ridden it three times in 14 months. I knew it– knew the land and the culture and the feel. Attempting a fastest known time felt like the final chapter to my Baja Divide year. Gearing up for the ride, Nick rebuilt my bike. He spent hours at my Aunt’s house in La Ventana and Cale’s house in San Diego cleaning and replacing parts, installing a new fork, rebuilding the front wheel with a dynamo hub, and mounting lights. We optimized the gear and I left a lot of things behind, including my sleeping bag. It was only while buying Ibuprofen at the store in San Diego that I had the memory of pain. The pain that happens during these long, intense rides– throbbing knees and hands and feet, aching sleep deprivation and a dull brain. In that moment, buying the pills, I accepted it. I accepted the pain. It’s just part of the experience. I would not call it suffering– suffering is something that happens to you, something you can not control. Riding miles and miles is something that I choose to do, something I choose to do to see what is humanly possible. While we were in San Diego it rained an inch and a half. In the rain, Nick and I took the bus to the border at Tecate, crossed the border, checked into a $13 a night motel room and waited two days for the roads to dry out. The dirt roads on the Baja Divide contain a high percentage of clay. When it rains, the clay turns into mud, mud that clings and cakes onto tires. Within a couple of revolutions, the tires are so coated with mud that the wheels can no longer clear the frame and as a rider, you are forced off of the bike. This mud is so thick that you can’t even roll the bike, but have to shoulder it and trudge on. And then, the heavy mud cakes to the bottom of your shoes. It’s a death march. We watched the weather forecast obsessively. I wanted to start as soon as possible because it was starting to get really hot in southern Baja. On the day before my projected depart, Salvador from FASS Bike drove 200 miles to visit us in Tecate to see my start. He held a mini press conference in a restaurant in Tecate and welcomed local mountain bikers to hear about my ride. Salvador Basurto III has shown amazing support to riders on the Baja Divide. This route is rugged and remote with few bicycle shops. In the first season, Salvador has helped countless riders all along the route source parts and repair their bicycles. When Jace cut a sidewall, Salvador sent him a new tire. When Ryan’s bike got stolen, Salvador helped track it down. When Nick and I couldn’t get cash in Vizcaino, Salvador arranged a money transfer. He has a wall sized map of the Baja Divide in his shop in Vicente Guerrero and has hosted parties for riders coming through. He is a fantastic guy with a great attitude and we really appreciate his support. Whenever we had a problem, Salvador always seemed to have a solution. And she did! Colleen made my FKT attempt possible. I am overwhelmed by her generosity. She told me that the Baja Divide was a pretty inexpensive tour and about money, you can’t take it with you when you go. I set the start for my FKT Baja Divide attempt for 5AM on March 2. A funny part about riding solo is that you can really start at any time. There are no other racers and there’s no official schedule. I actually roll out 5:12AM. Meet me at The Bicycle Shop at 6PM on Saturday, June 24 to ride with me out of town. We will ride 15 miles to the Eagle River Campground and camp overnight. The next day I will continue north, riding pavement and dirt to Deadhorse. This summer I plan on riding all of the major roads in Alaska, including all of the major spur highways and unpaved roads– a project I started in 2014. I am a runner. In 2014 I injured my achilles and couldn’t run. I was so frustrated that I started riding my bike farther and farther to fill the void. I’d climb 2200′ up to the Glen Alps Trailhead and then ride across town to Kincaid Park and connect the single-track through to the Coastal Trail and then ride the Coastal Trail to work at the Rustic Goat. I couldn’t get enough and I had to get out of town. 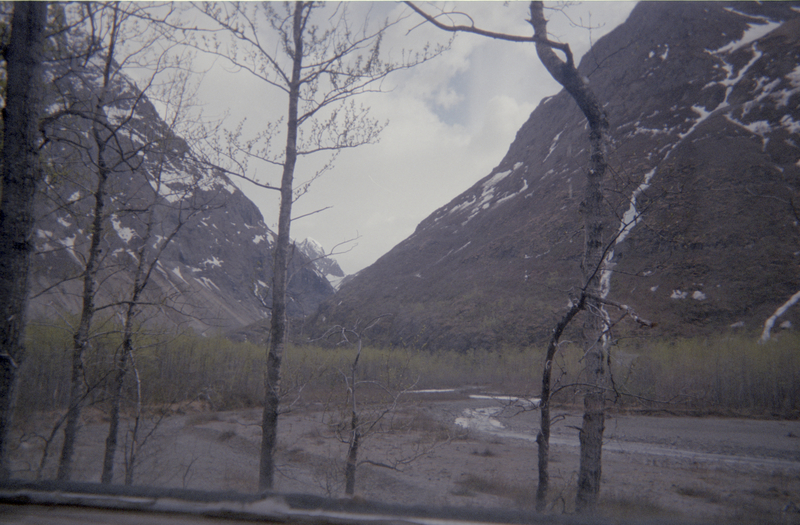 On my first long ride, I took the train to Seward and rode my bike the 127 miles back to Anchorage in a day. A couple weeks later, I flew to Fairbanks and rode the 375 miles back to town in 2 ½ days– making it just in time to work an eight hour bartending shift. I loved the challenge of fitting huge miles into a tight time frame. Then, I rode 224 miles through the night to visit my grandparents in Homer. At the end of the summer, I raced the Fireweed 400 from Sheep Mountain to Valdez and back. It was my first race and I won. I started looking at the map more. I started tracing the lines in and out of Anchorage with my finger tips. I wanted to ride it all. To me, Anchorage is the heart of Alaska with roads extending like veins and arteries to the rest of the state. In 2014, I established that someday I would ride all of the major roads in Alaska. I would ride the heart lines of my state. I am fifth generation Alaskan. There are so many places in my own state that I’ve only ever heard of and never seen. Our state is huge– twice the size of Texas, but there are only about 4,000 miles of road. I want to ride the Dalton Highway through Coldfoot to Deadhorse. I want to pedal through Chicken to the Top of the World Highway and the Taylor Highway to Eagle. I want to ride the McCarthy Road to visit the remains of my great grandfather’s store in Kennecott. I plan to ride 100-200 miles a day in a series of trips. I can get it all done in one summer. I’ll pack light and ride fast and far. 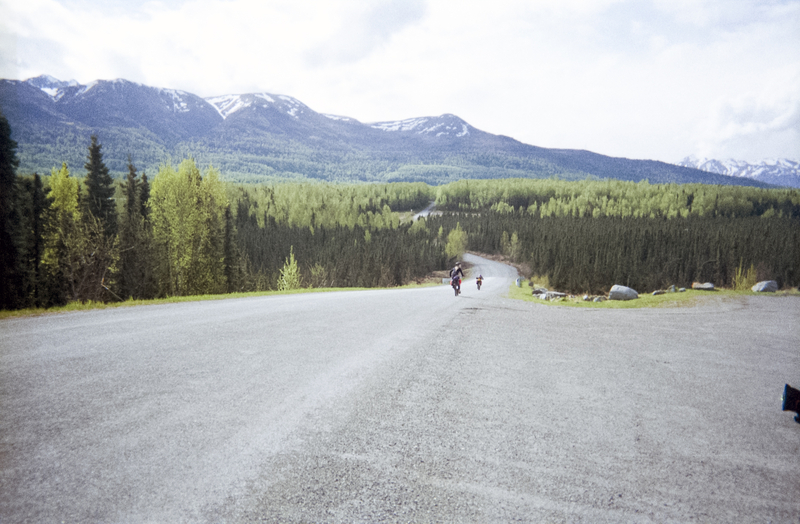 At 6PM on Saturday, June 24 I am launching my Alaska Road Rides project. Meet me at The Bicycle Shop and ride 15 miles with me to the Eagle River Campground. We will campout for the night and the following day I’ll continue to Deadhorse, the northernmost road in the Alaska road system. I’ll be riding the new 2018 Specialized Diverge for this project. Hanging out with Cait Rodriguez while I was in Anchorage last December, we got to talking about community bike projects. In the spring of 2016, Cait, Nick and I teamed up to source and repair 35 bikes for two low income third grade classes at Russian Jack Elementary. At the time, my mom was a teacher at Russian Jack. In the spring, as the days were getting longer and the snow was melting, she asked her class how many of them had bikes. Only six of the thirty kids in her class raised their hands. She came home from school and told me about it. Then, she asked, is there anyway we could get these kids bikes? I called up Cait. Cait is a volunteer manager at Off The Chain Bicycle Collective, the Anchorage Bike Coop. I told her about my mom’s class and asked if there was anyway we could get these kids bikes. Oh, sure. We’ve got tons of kids’ bikes at the coop. So, we got to work. We tracked down bikes with 16”, 20” and 24” wheels at the coop– mostly used Walmart bikes. 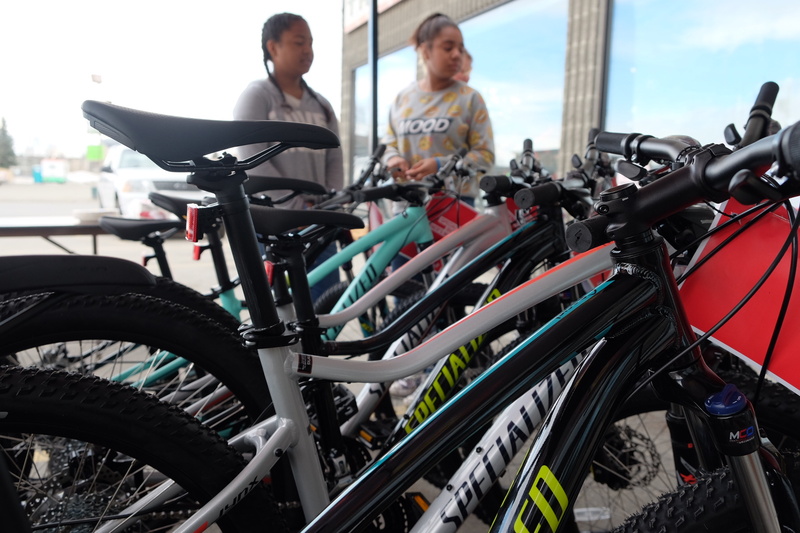 We told people around Anchorage about our project and they donated more kids bikes. Volunteers from Off The Chain and The Bicycle Shop helped to get them rolling. At the time, Nick and I were working 7 days a week at The Bicycle Shop. We spent many nights working until midnight at the coop to get the kids’ bikes rolling. We hosted two field trips at Off The Chain, one for each of the third grade classes at Russian Jack. The students visited the space, learned about volunteering and test rode the bicycles. Fortunately, all but one of them could proficiently ride. During the field trip, we fitted students and put their names on bikes. A couple of the kids had bikes at home that were out of repair, so we told them to bring the bikes to school and we’d fix them up. Once the bikes were ready to go, we transported all of them to Russian Jack Elementary for a third grade bike rodeo in the parking lot. We set up five stations and a practice course. In addition to the bikes, the students received helmets and locks. When you’re seven-years-old, having a bike is a big step towards independence. Scott Jensen from Alaska Dispatch News captured this project in a short video. 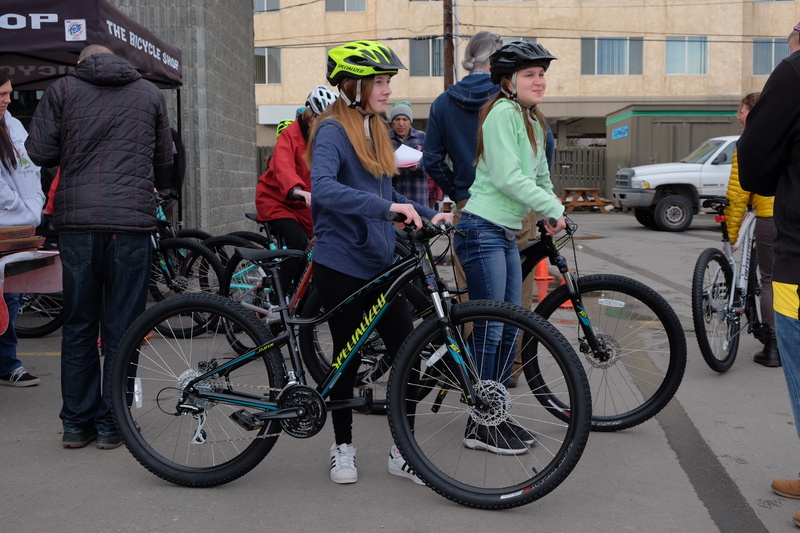 This project wouldn’t have been possible without an extraordinary amount of energy from the third grade teachers, the mechanics from The Bicycle Shop and the volunteers from Off The Chain Bicycle Collective. This year, I’ve received several emails asking if we’re going to repeat the kids’ bikes project this year. I would be happy to help facilitate this project, but we really need a specific school and teachers to work with. Off The Chain still has plenty of donated kids’ bikes and fantastic volunteers that would probably help get these bikes rolling. 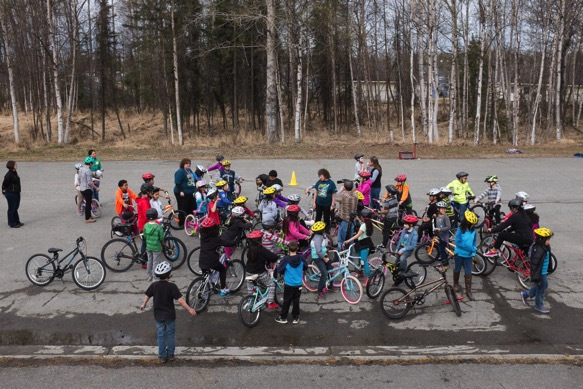 There are still many kids in Anchorage that don’t have bikes. If you have a vision for this program this year and energy to see it through, get in touch with me and I’ll do my best to help. Anchorage is a city rich in resources with a great disparity in wealth. I truly believe that providing bikes to people of any age is a step towards independence and health. Let’s get more people in Anchorage on bikes. This December I asked Cait, do you want to do another kids’ bikes project? Oh, sure. But what if instead of providing bikes for elementary school kids, we worked with middle school girls. 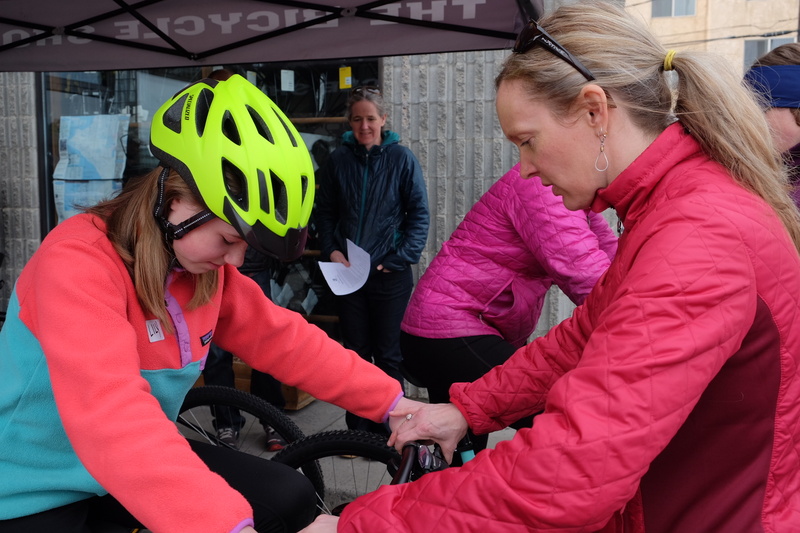 And that was the start of Anchorage GRIT– Girls Riding Into Tomorrow, a middle school girls’ bicycle program. Our imaginations fired up. There were so many things we could do with these girls. So many things we would’ve loved to do when we were in 7th grade. 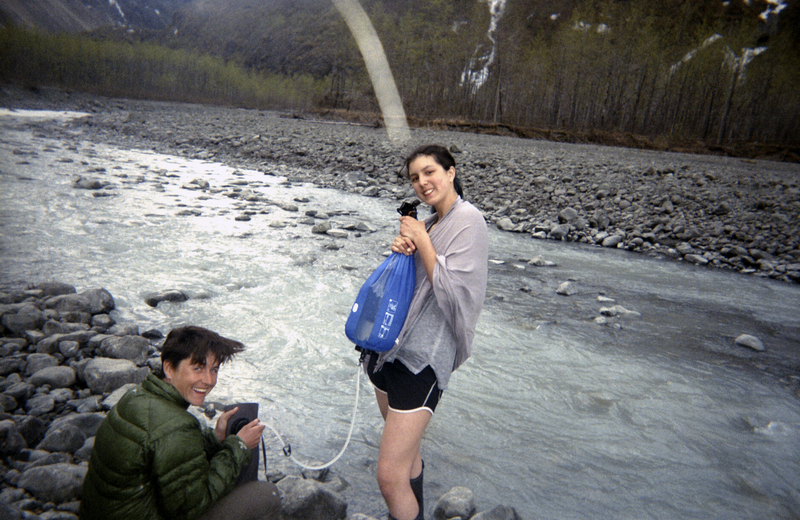 First, we schemed up the final project, a 45 mile ride from Anchorage on bike paths and gravel roads to Eklutna Lake and an overnight at the Serenity Falls Forest Service cabin. Then we started designing a schedule to lead up to the capstone camp out. In January, Cait and I flew to San Diego to ride the Baja Divide. We hashed out the the details for GRIT while riding and camping together in Mexico. 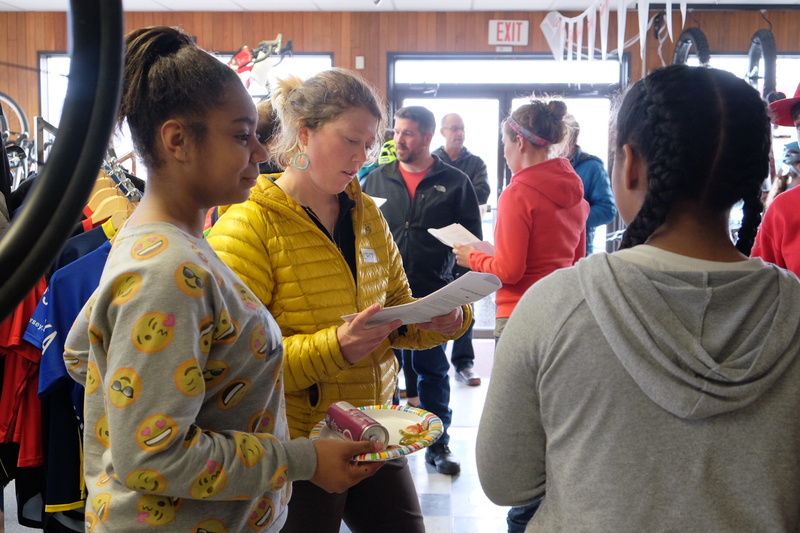 Anchorage GRIT would be a six week mentorship program in Anchorage meeting 2-3 times a week. We would work with 2 different middle schools from the Anchorage School District. The schools would select five 7th grade female students to participate in GRIT. All of the sessions would lead up to the capstone camp out, a weekend long bikepacking adventure from Anchorage to Eklutna Lake. 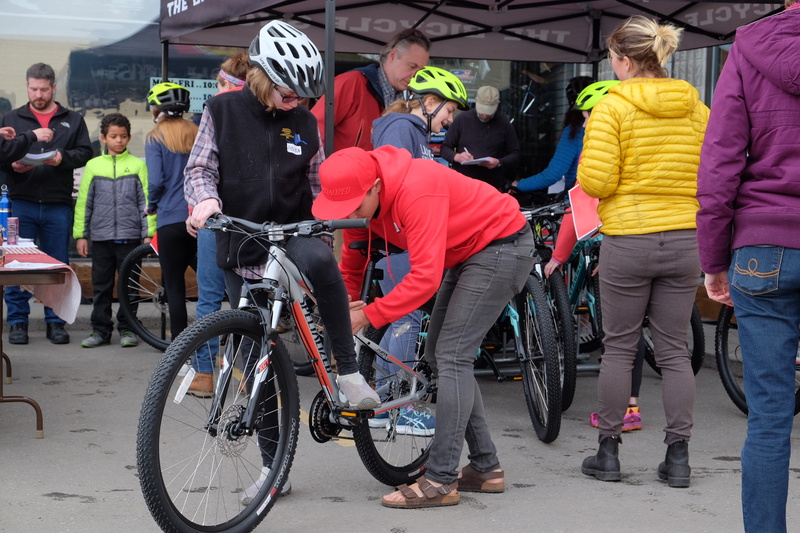 All of the sessions would include a ride to a lesson or a volunteering opportunity with lessons in safe riding, bicycle maintenance, route planning, packing for trips, mountain bike skills, stretching and fitness. From Mexico, we sent an itinerary to principals in the Anchorage School District about working with their schools. We started recruiting mentors and expert women from the community to teach the workshops. GRIT was gaining steam fast– it seemed like everyone we talked to about GRIT was wild about the program and wanted to help us however they could. 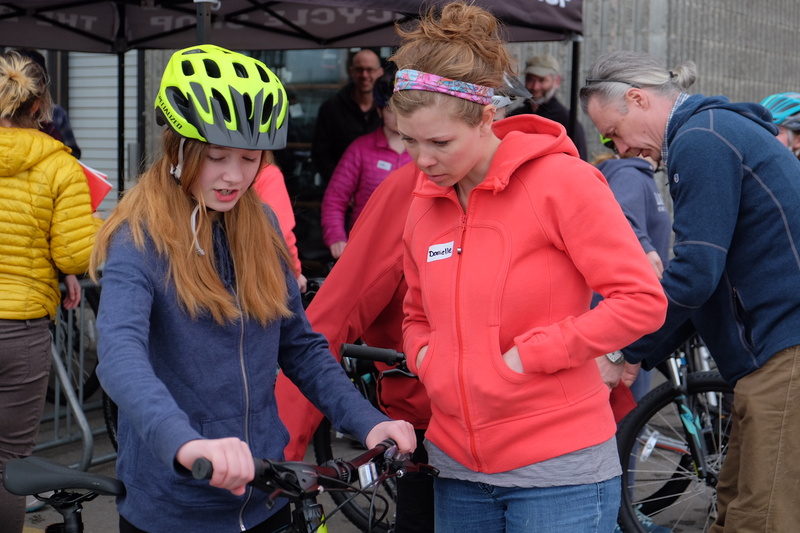 During this time, I reached out to Vanessa and Katie Sue from Specialized and asked if they could provide bikes for the girls. They were all for it! In February, Cait headed back to Anchorage and I kept riding in Mexico. Back in town, Cait started meeting with counselors and teachers from the schools. We focused in on Begich Middle School and Steller Secondary School. Teachers from the schools nominated students for the program and Cait held interest meetings for the students and parents. In early March, the girls and parents committed to GRIT. 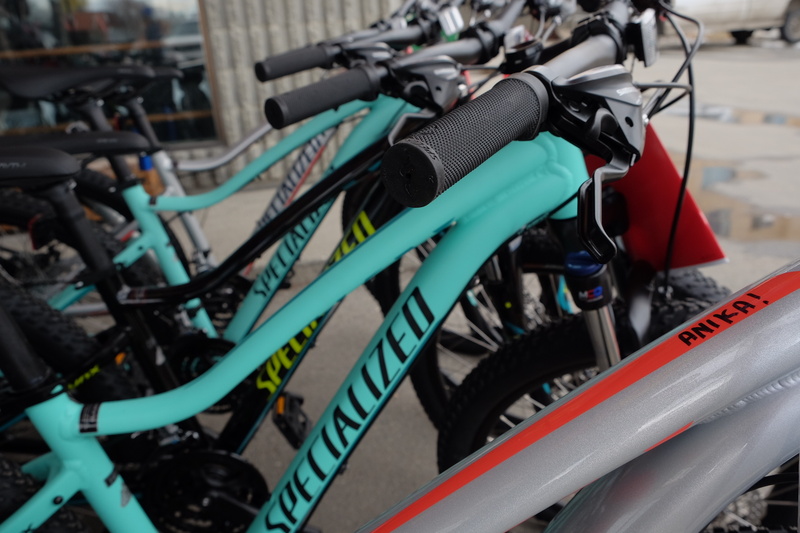 On April 8, 11 Specialized Jynx bicycles arrived to The Bicycle Shop. With the help of all of the employees at the shop, we built the bikes after hours and had them ready for the parent and student meeting the following day. 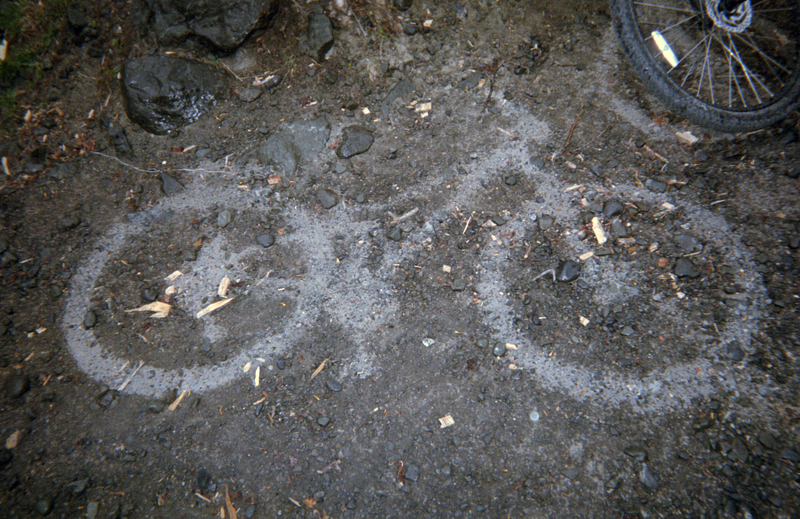 On April 9, We wrote the girls’ names on the top tubes of their bicycles and parked them out front of The Bicycle Shop. That evening, the 11 students and 5 mentors that make up Team GRIT met for the first time at The Bicycle Shop. 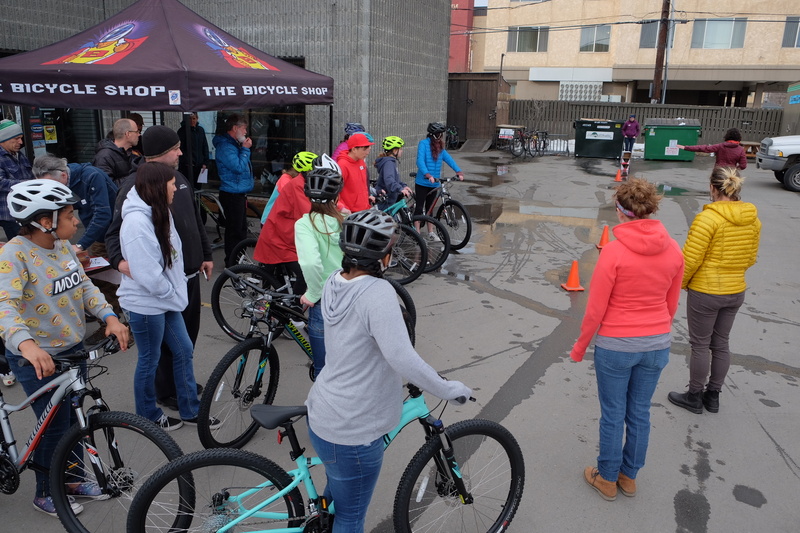 The girls found their new bikes and Lindsey Hajduk and Kati Ward from Bike Anchorage taught a safe riding lesson. We fitted the girls to their bikes and practiced skills in the parking lot. The next day, we met at The Bicycle Shop for our first real ride. Homecoming at The Bicycle Shop in Anchorage, AK! Thanks to The Bicycle Shop for hosting our event, Racing the Trans Am Bike Race, a fun evening of stories from my race. Nick and I rolled right off the plane from San Diego and into a group of over 100 of our best friends in Anchorage. We’re only here for two weeks before we head back to San Diego for the group start of the Baja Divide. Five years ago Nick had to beg for a job as a mechanic in the middle of the winter and now we get to organize awesome events and help get more people on bikes. Only later did I learn that the owner of The Bicycle Shop– Mike Shupe– was friends with my uncle JV in junior high. Anchorage feels like such a small town if you grew up here. It is so cool to see the explosion of winter cycling in Anchorage and to see the oldest bicycle shop in Alaska killing it! Thanks to Mike Shupe, Kristen Shupe, Ray Clayton, Chris Wineck, Jamin Hall, Christina Grande, Zac Heinen, Rick, Roland, and Devon. Big thanks to David Henke for supporting the event with audio and video.